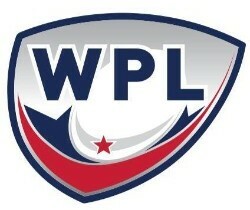 Bring it on, WPL season! Welcome to your August 2016 newsletter! If you haven't been to an All Blues practice yet this fall, get ready to see many new faces! Interest in rugby is at a high especially after the Olympics. We have already started practice (Tues. and Thurs., 7:30-9:30 PM at Gabe Catalfo Fields in Berkeley), but do not let that intimidate you away from joining us on the pitch! Come check us out, and feel free to bring your friends! We welcome new and old players. Please email jointheallblues@gmail.com with any questions. Hey there, All Blues Nation! All Blues Media interviews one of our returning Olympians and talks with her about her time as an All Blue, life at the OTC, and future plans. Read the interview here. Bulou Mataitoga, one of our team captains, wraps up the summer sevens season which saw the All Blues finish in the top 8 in the nation. Check out her highlights. Katrina "Bisquit" Logan has been rehired as head coach for the fall season. Read about her focus for the season here. We interviewed a couple of All Blues who traveled to Rio this summer. Read their responses and get some insider tips on scoring those rugby tickets for Tokyo 2020! Player Profile of the Month: Gardenia "Fehi" Schaaf. 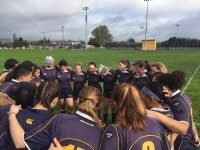 Learn how one of our 7s powerhouses got into rugby and how she gets into "the zone." Read the interview here. Three current players--Bulou Mataitoga, Courtney Hendrickson, and Maggie Simpson--represented this past weekend at a USA Rugby National Tracking Camp. This camp presents one of the pathways for the selection of future Eagles and Olympians. Check out our FB page for some images courtesy of KLCfotos. You are receiving this email because you have indicated that you are a fan of the All Blues Women's Rugby Club. You can unsubscribe at any time.